Peas and cupcakes? Cupcakes and peas? 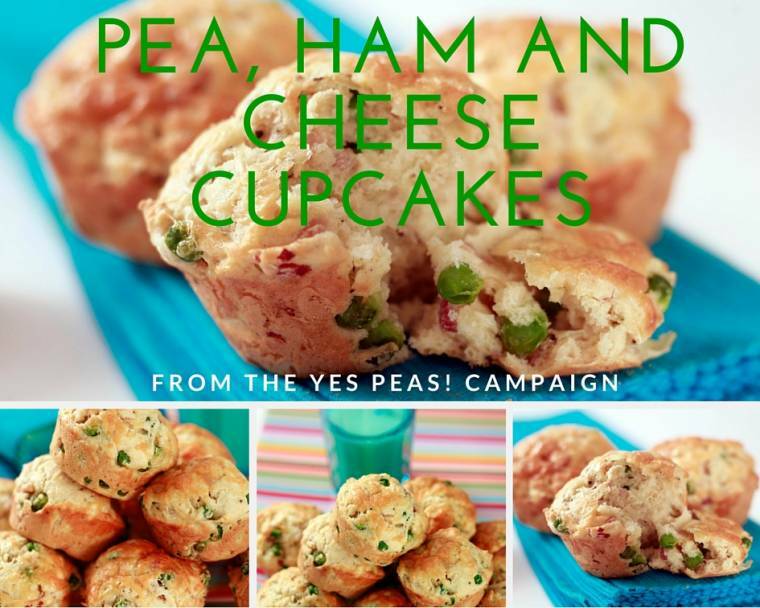 Guest post from Yes Peas campaign. 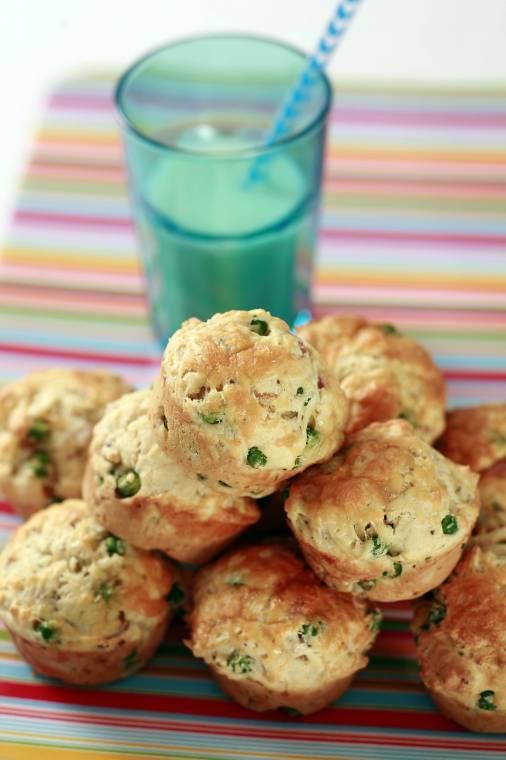 As well as the nutritional value of the Peas this recipe contains: vitamin A and beta carotene, B complex vitamins, vitamin C, vitamin D, calcium, magnesium, zinc, iron, selenium, potassium, plus antioxidants from the herbs and seasonings. Glycaemic Load of 5. Prepare a 12 hole cupcake tin by greasing well with butter. Bring a large pan of lightly salted water to the boil and blanch the frozen peas for 2 minutes. In a separate bowl lightly beat the egg with an electric whisk and add the boursin cheese, whisking until the cheese has broken up and combined smoothly with the egg. Whisk in the milk, and then, using a wooden spoon, stir in the peas and ham. Pour the wet ingredients into the dry ingredients, and mix lightly and quickly to combine. 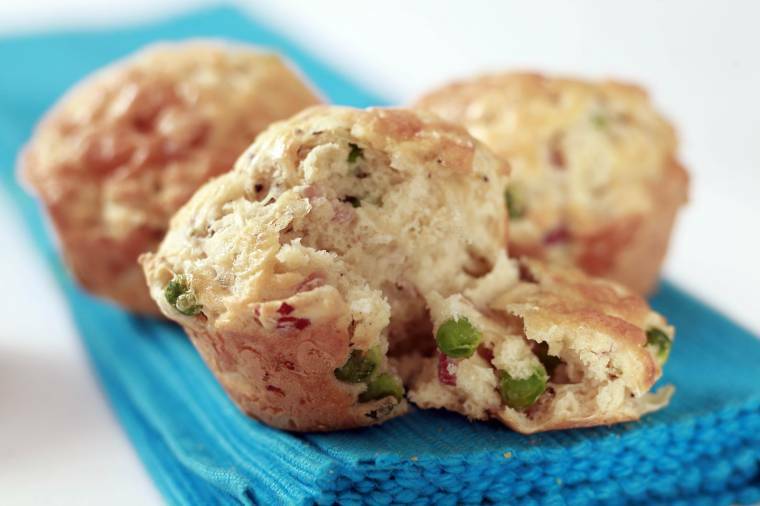 Spoon the mixture into the greased cupcake tin and sprinkle the top of each muffin with grated cheddar cheese. Bake in the preheated oven for 20 minutes, or until the cupcakes are golden brown and firm to the touch. 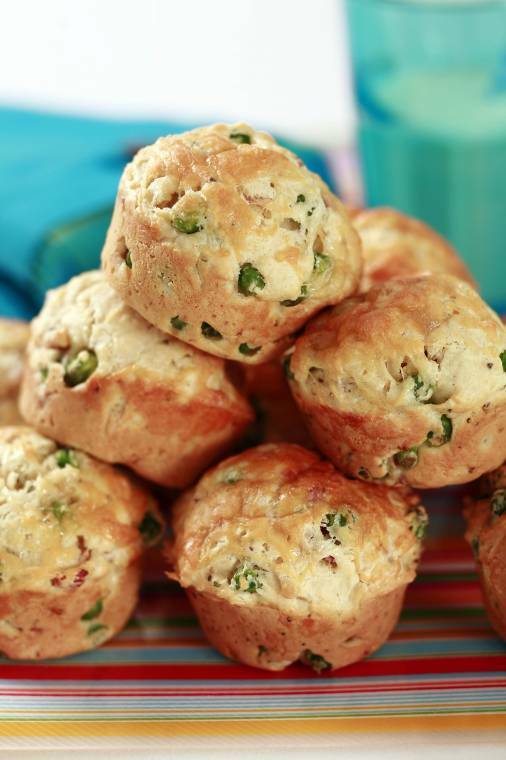 These savoury cupcakes are ideal for a lunchbox or picnic. When boiling frozen peas, add enough water to cover, bring to the boil and then cover and simmer for 3 minutes. To microwave 227 grams (8oz) of frozen peas add 15ml (1 tablespoon) of water, place in a non metallic container and cover. About this post:This is a guest recipe from the Yes Peas! campaign. No Payment was received.